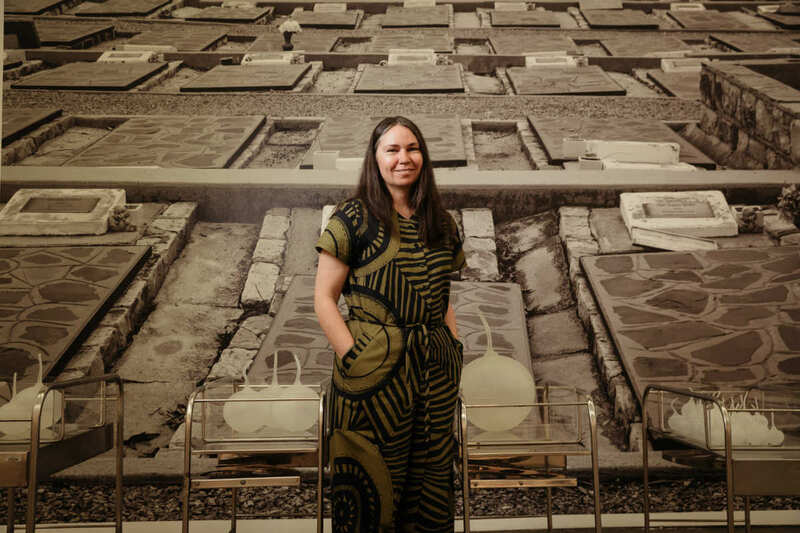 Victorian College of the Arts Lecturer Yhonnie Scarce has been named the 2018 Kate Challis RAKA Award recipient for her contribution to the visual arts using blown glass. RAKA, which means ‘five’ in the Pintupi language, is awarded to an Indigenous artist in one of five categories annually, including creative prose, poetry, script writing, drama and visual arts. Hugh Ramsay Chair in Australian Art History at the University of Melbourne Professor Ian McLean said the judging panel, of which he is a member, was impressed by Ms Scarce’s wide-ranging exploration of media. “Yhonnie Scarce has made an impressive start as an artist in the difficult and crowded contemporary artworld,” Professor McLean said. “I would like to thank the donor Bernard Smith for his generosity and the judges for choosing my work as the winner for 2018,” Ms Scarce said. Judges for the 2018 prize include: Elizabeth Heathcote, daughter of Professor Emeritus Bernard Smith and Kate Challis; Dr Kate Challis, granddaughter of Professor Emeritus Bernard Smith and Kate Challis; Professor Ian McLean, Hugh Ramsay Chair in Australian Art History, Faculty of Arts, University of Melbourne; Dr Gregory Lehman, McKenzie Postdoctoral Fellow, Faculty of Arts, University of Melbourne; and Hannah Presley, Curator, Australian Centre for Contemporary Art. Banner image: Yhonnie Scarce, Strontium 90 Fallout Babies, 2016. Blown glass, acrylic & found hospital cribs, variable dimensions. Photo by Daniel Boud. This article originally appeared on The Melbourne Newsroom. Subscribe to the Faculty of Fine Arts and Music’s free monthly newsletter.